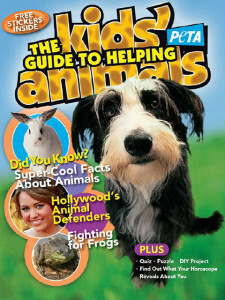 Fill out the form and you will receive a free Kids Guide to Helping Animals Magazine. Your kids will also receive free stickers! Get free stickers and animal magazine today! Thank you for the magazine for my grandson……. My grandson is an animal lover so I want to say thank you. He will love it.